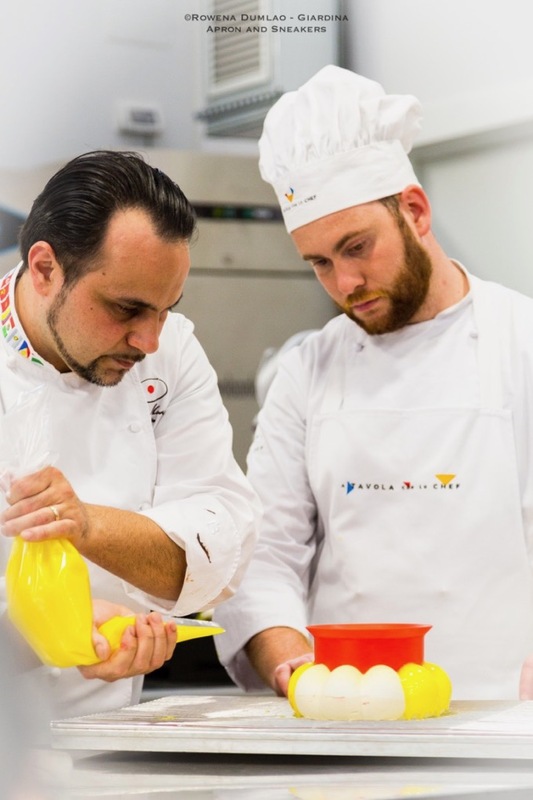 For such an accomplished pastry chef, watching him teach a course about making semifreddi at A Tavola con lo Chef, one of Rome's professional culinary schools, was a very inspiring experience for me. 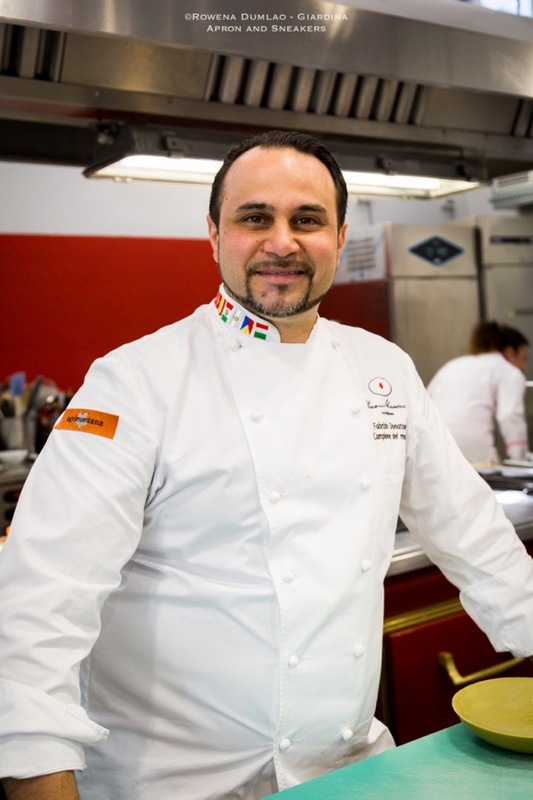 He concocted five recipes using ingredients from two of Italy's renowned companies producing high-quality products. 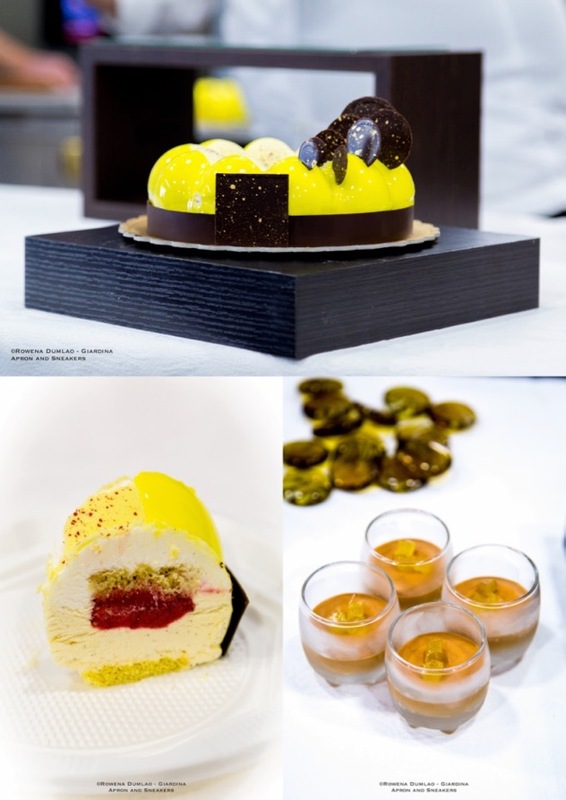 Domori for its excellent chocolates and Agrimontana for its natural fruit and nut products for pastries and gelato. 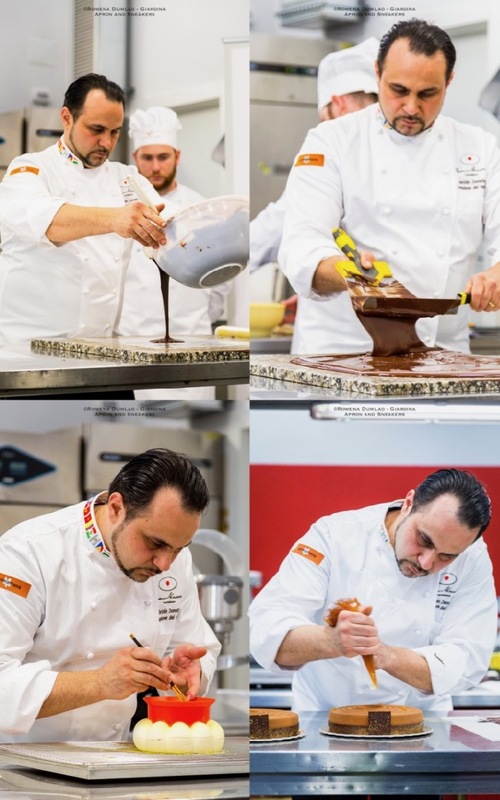 He is a part of Team Massari, a group of Italian professional pastry chefs who are chosen and coordinated by master pastry chef Iginio Massari. 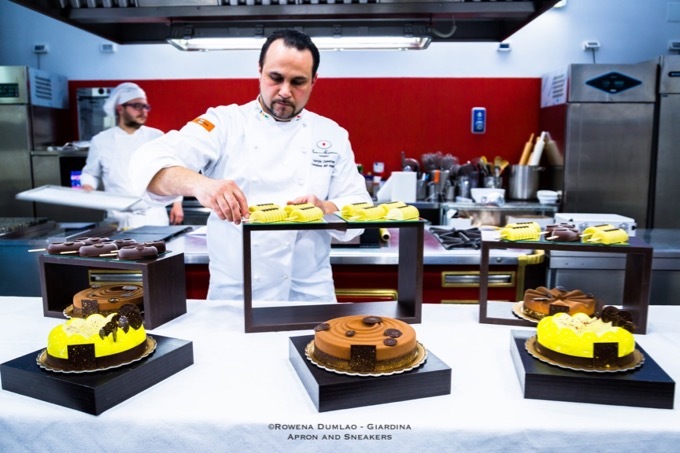 To be more precise, it's actually a small group of pastry and gelato makers who hold titles of world champions in their specialized fields. 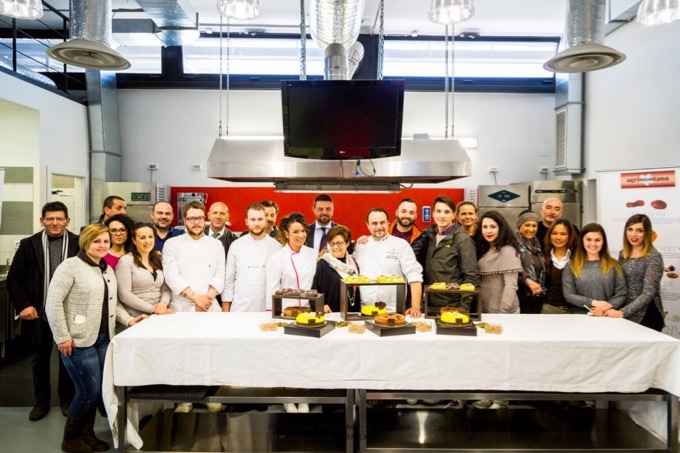 With the support of Agrimontana, they carry out professional courses all over Italy. 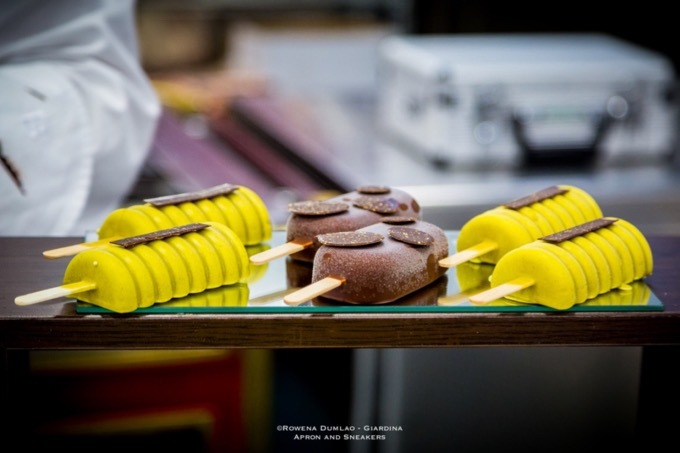 During the late morning of 28 March, I got my seat and listened intently to Chef Fabrizio Donatone explain the fundamentals of semifreddo-making which was later concluded with a lunch buffet and tastings of the semifreddi that he prepared during the course. The most important factor is always the temperature. With the right temperature, the process of making the semifreddo moves forward smoothly but if you waver just a couple of degrees out of the range, then it's hard to keep your semifreddo together. And then the other two important factors are utilizing the correct techniques and equipment and the quality of the ingredients that you are using. 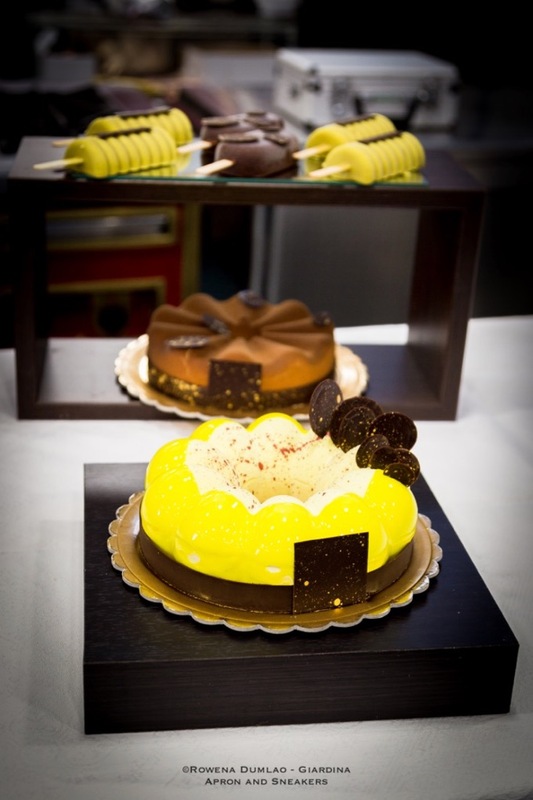 With those in mind, perhaps a semifreddo like Fabrizio's can come out of your kitchen (hopefully). 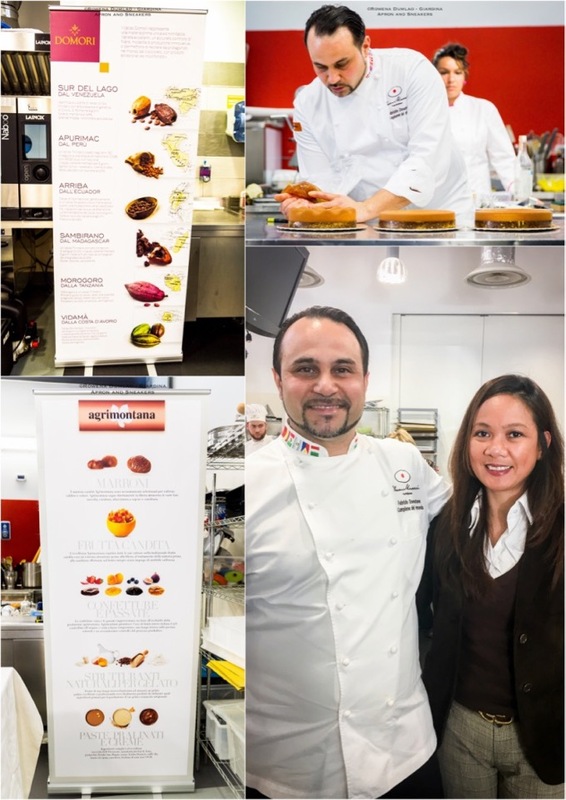 In the course of semifreddo-making, he demonstrated and explained five recipes, namely: torta semfreddo vaniglia ananas e fragola (vanilla, pineapple and strawberry semifreddo cake); stecco cioccomenta (chocolate mint semifreddo stick); stecco pistacchio e frutti esotici (pistachios and exotic fruits semifreddo stick); torta semifreddo cioccolato e nocciola (chocolate and hazelnut semifreddo cake) and; semifreddo base acqua (water-based semifreddo). Like in cooking anything, the ingredients always matter a lot. 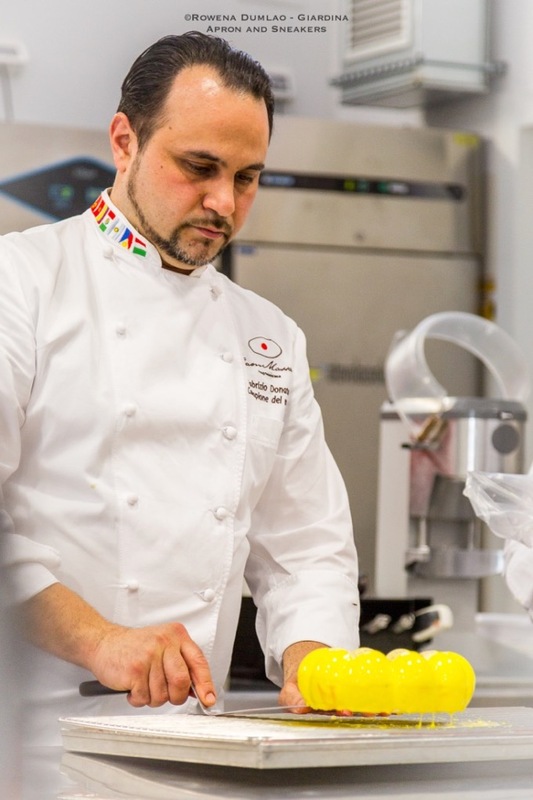 Fabrizio and the rest of the Team Massari use ingredients of top quality. 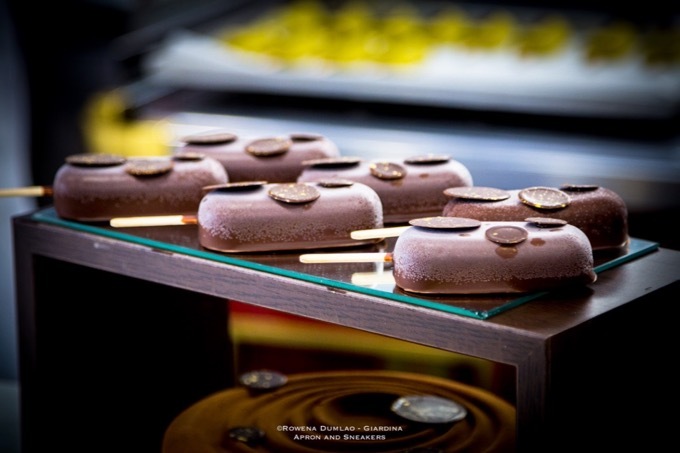 For the chocolates they prefer the brand Domori and for the fruits, nuts and other ingredients for pastry and gelato-making, they choose the different natural products of Agromontana. If you ever try cooking anything with ingredients of mediocre quality compared with the same dish using top quality ingredients, the result will never be the same and you can taste it and feel it afterwards. 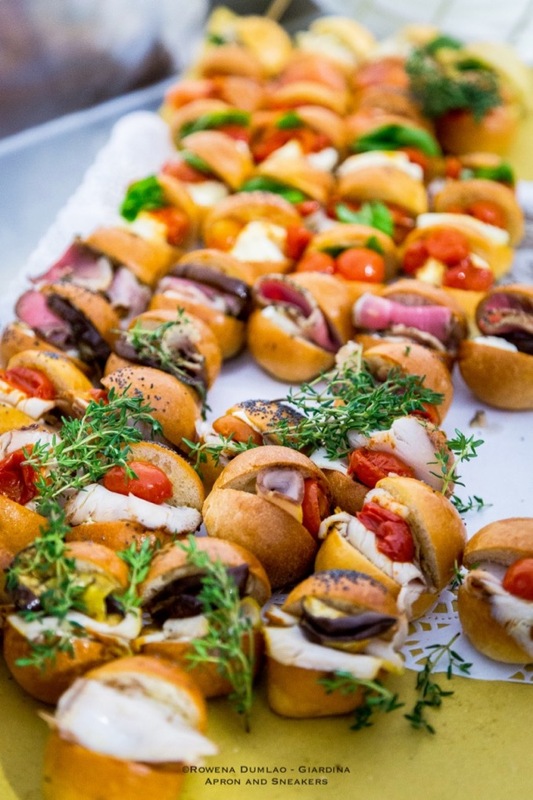 And that is what Italian cuisine is all about - simple dishes with very good ingredients. Domori is a 20-year old company that is a part of the Illy Group and was founded by Gianluca Franzoni in 1997. It was the first chocolate company in the world to process only high-quality cocoa, also known as aromatic cocoa. It gets its supply from Hacienda San Josè in Paria, Venezuela where they cultivate the rare cocoa variety, Criollo. It is considered as the "prince of cocoas"and priced as the ingredient in the finest of chocolates. It constitutes only 5% of the total cocoa production in the world. Agrimontana instead is a family-owned company that was started by Cesare Bardini in 1972 in Cuneo under the name Eurocanditi where they were producing candied chestnuts and orange peel which are used in making the panettone. At present, it is a part of the Illy Group and running on its second generation of family members. 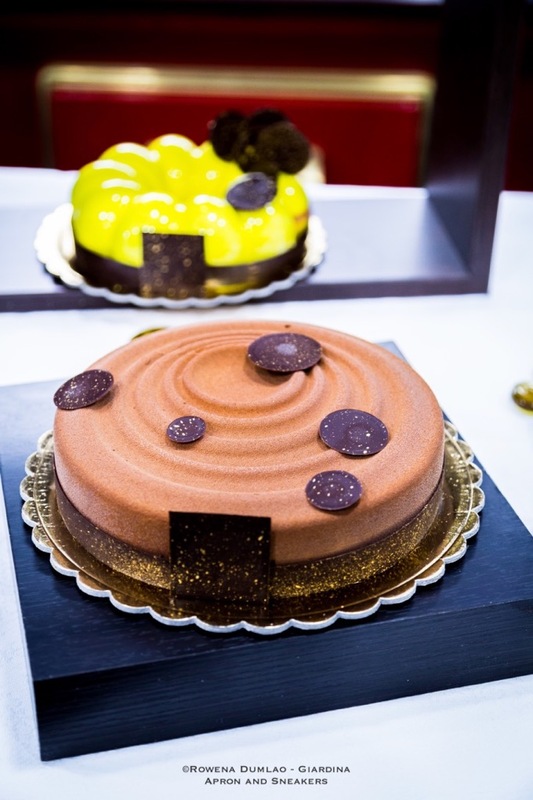 From its founding year, it still aims to valorize the importance of the quality of its raw materials and the production of its ingredients in making cakes, pastries and gelato.